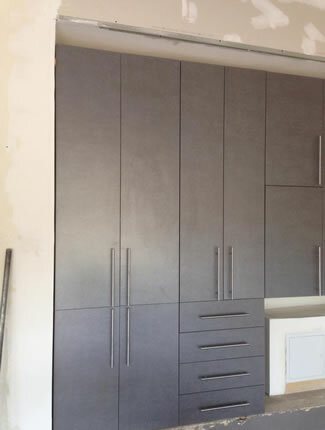 Get the most out of your garage with custom cabinets installed by Garage Floor Coating of New Jersey. We can transform your garage into a usable and versatile room in your home. Professionally installed cabinets and organizers will maximize your usability and enjoyment of your garage. Our high-quality, commercial grade cabinets with heavy-duty hardware can withstand practically anything. We know the abuse a high-energy family and the crazy East Coast climate can dish out. 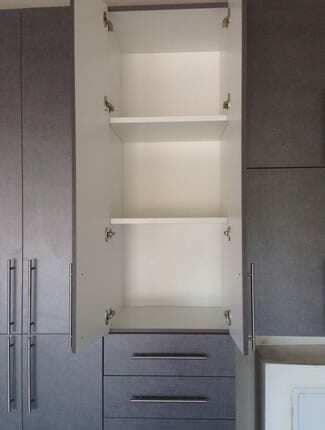 These cabinets are built to last and look fantastic! Select from several color choices. Garage remodeling options can be extremely broad these days. You can keep it simple by coating the floor and repainting the walls or you can go for a nice wall system that will take care of all your garage storage needs. Garage Floor Coating is one of the best companies in the market today to transform your garage. Using cabinets, wall systems or ceiling mounted racks allow you to pretty much put anything you want in specific areas of the garage depending on how often you use the items. Items used daily will be stored on wall mounted organization systems with garage hooks, storage baskets, bike hooks or in cabinets with doors to remove them from plain sight. Items used only on holidays can be stored on overhead rack systems to increase the usable floor space. The best thing about the systems we install is that it’s completely dynamic. You can add items as go so you can ultimately start off by having us install a floor coating. When you are ready, you can always as racks and cabinets when the budget allows. The best place start is to create a plan. Clear out your garage, take an inventory of your things, and get rid of what you don’t need. This could be a huge project in some cases but take your time as this process can reduce your clutter by a large percentage. At this stage it might be beneficial to hire a professional organization company to help as they will be impartial and not emotionally attached to anything.